Applause is a clean and simple tumblr theme with a slideshow cover. All colors on this theme can be customized. This theme is responsive and retina ready. 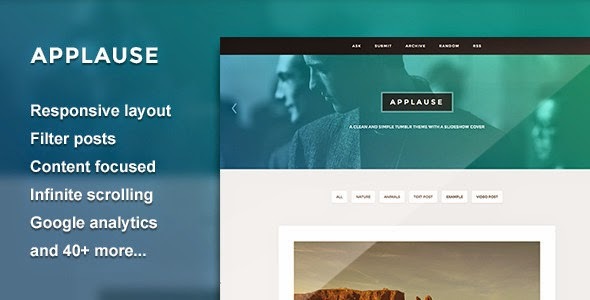 Item Reviewed: Applause - A Content Focus Tumblr Theme 9 out of 10 based on 10 ratings. 9 user reviews.